Pensioners can now view and download pension slip in SBI through Net banking online. A pension slip contains details of pension payment credited to a savings or current account held by a pensioner. You can generate the slip for any month starting October 2006 up to any past month in the current year. 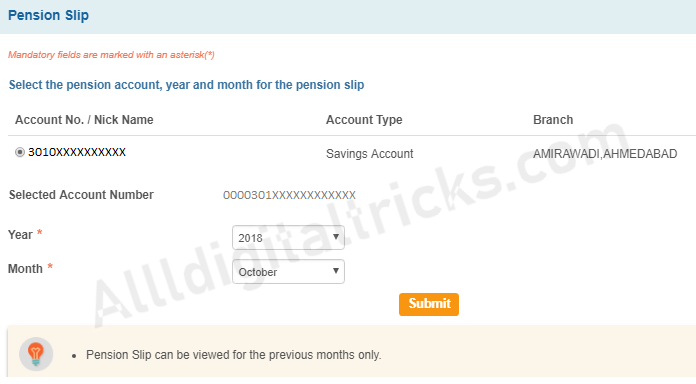 And this pension slip contains your pension related all details like your PPO number, Date Of Retirement, Commutation Installment date & end date, life certificate submitted date, Basic pension amount, Dearness Allowance/Relief, Total Pension Paid, 29-10-2018, Pension Credited Date, Gross Pension and all other details. 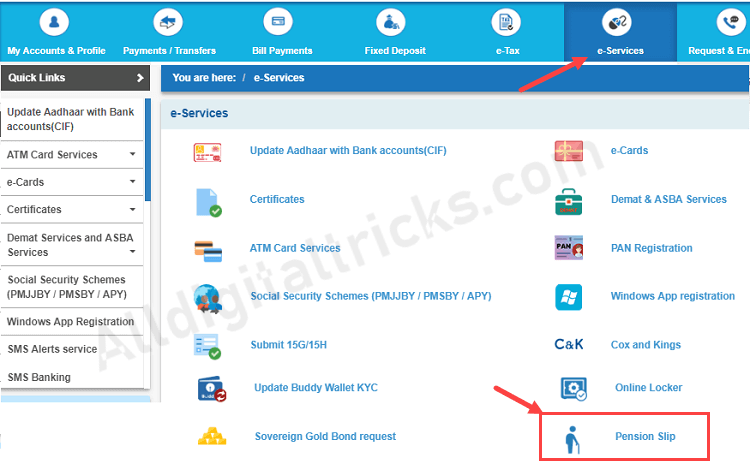 If your pension also comes in SBI then read this step by step guide and view/download your pension payment slip. All you need, SBI Internet banking facility to check your pension payment slip online. You can activate your SBI net banking facility online using Debit card. Step 4: And now click on your PPO number unique ID. And the next screen you can view your pension slip. You can also print or download this slip by clicking on view/download. Please note, you can only generate the pension for months for which you have received a pension payment from the government. 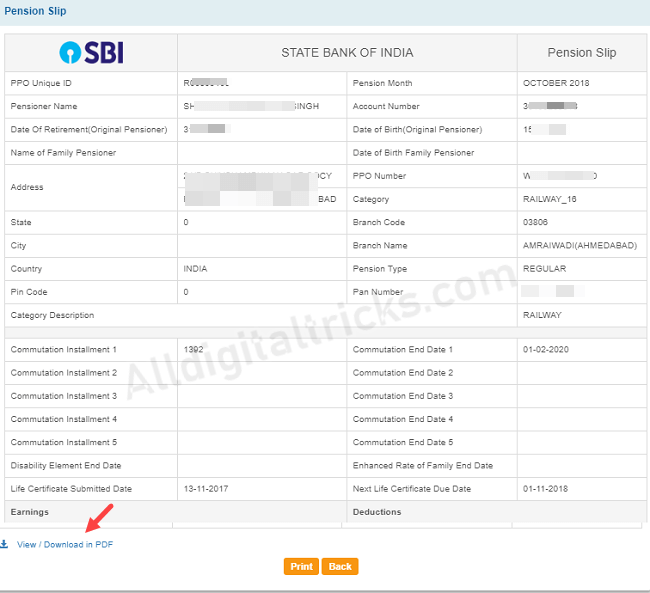 So this is how pensions can view and download pension payment slip online in SBI through net banking and check their pension-related details. Net Banking facility requires for this, so register for net banking first if it is not enabled for your account.